Cornbread can be tricky. Too dry and you feel like you’re swallowing a handful of nails. Too crumbly and you can’t use it as a dipper in your soup or stew or chili. Lucky for me—and for you—these corn muffins from Cooking Light had neither of these problems. 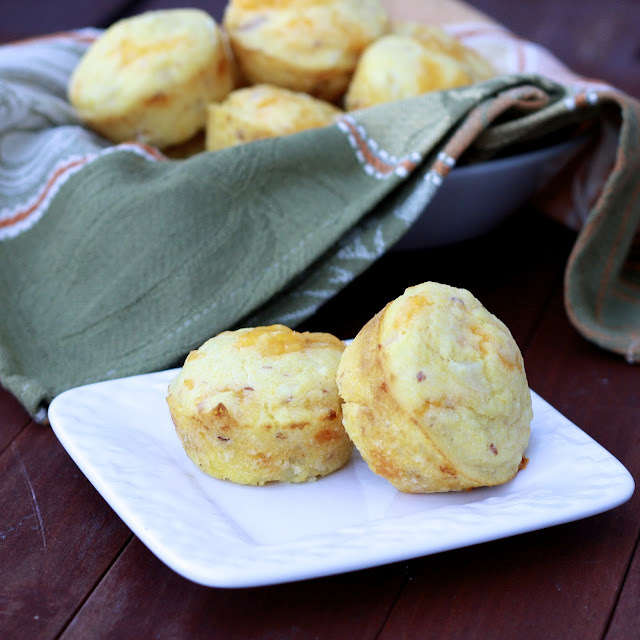 The buttermilk keeps them moist, but they were still sturdy enough to eat with our chili. 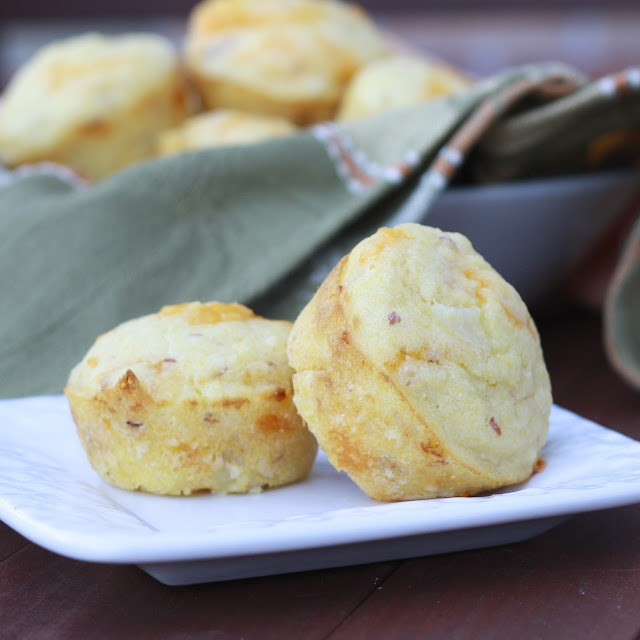 Bacon and cheddar make these a little more exciting than most corn muffins and I promise they're nearly as easy as buying the boxed mix (and infinitely tastier!). My favorite meal from October to February is a steaming bowl of soup with some bread on the side. Need a soup to serve these with? I have over fifty here! 1. Cook bacon in a skillet over medium heat. Remove bacon and reserve grease in pan. Drain bacon and crumble. Increase heat to medium-heat and add the onion to the pan. Saute for 5 minutes. 2. Preheat oven to 400F. In a small bowl, beat egg and add buttermilk and olive oil. 3. In a separate, medium-sized bowl add the flour, cornmeal, baking powder, baking soda, salt, and red pepper. Make a well in the center of the flour mixture. Add the milk mixture and stir just until moistened. Stir in bacon, onion, and cheese. Divide mixture evenly amongst muffin pan (spray muffin cups with cooking spray). 4. Bake for 13 minutes or until an inserted toothpick comes out with moist crumbs clinging. 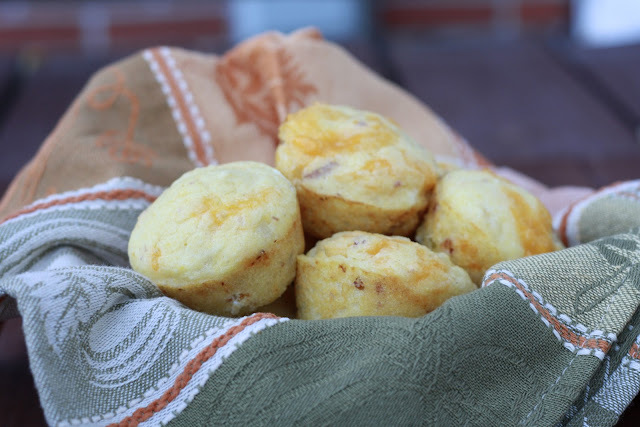 Remove muffins from tins and cool on a wire rack.